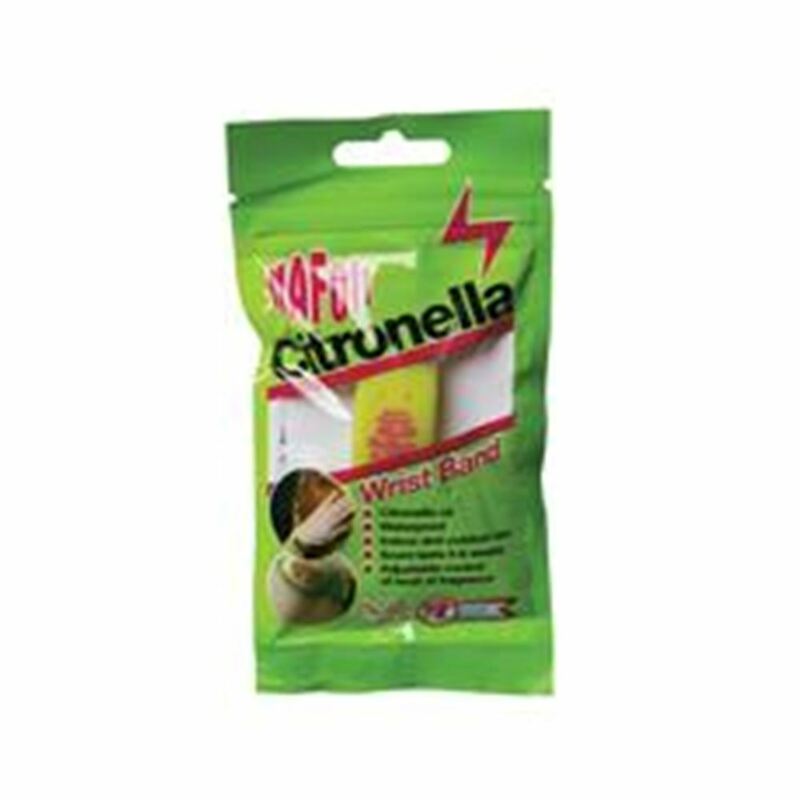 Silicone wrist band made with citronella oil as an effective mosquito and insect repellent. It is waterproof and suitable for indoor and outdoor use. Adjustable control of level of fragrance effective for up to six weeks.